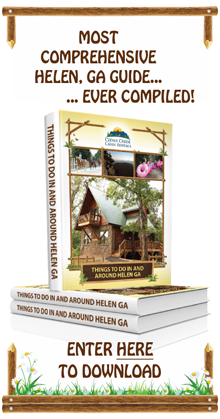 Our luxurious Helen, GA cabins are located in one of the most history and culture rich regions in the entire nation. From the Cherokee tribes to the first gold rush on United States soil to Victorian era lifestyle, the past has been well preserved in northern Georgia so that we can continue to learn and grow as a society. Why not make it a point to discover our roots and history when visiting the Helen, Georgia area? There are plenty of fascinating and historical places dotting the area. 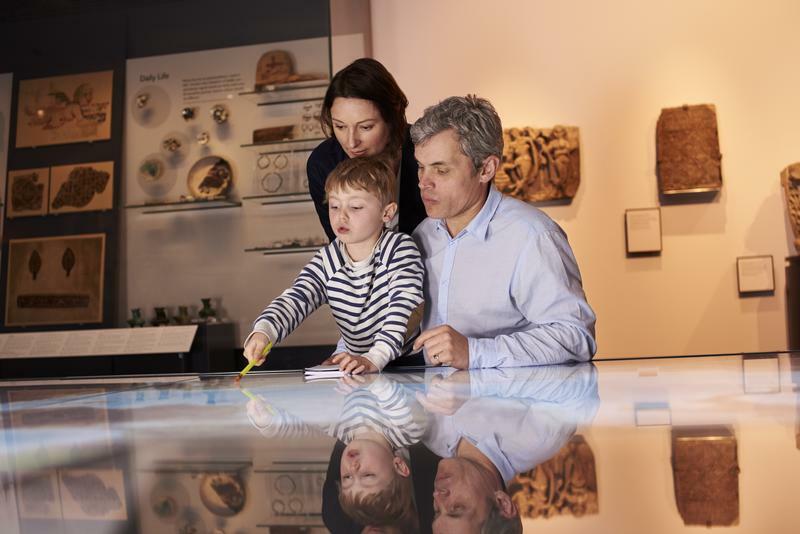 Whether you are visiting for a weekend or several weeks, you will never run out of things to do and see while visiting us. Here are the fabulous places to start on your journey to the past while in northern Georgia. Even the Alpine village of Helen, GA is laced with history. All throughout the town you will feel as though you have been transported back in time to old world Europe. One of the best times of the year to experience the history of Helen is from mid-September through the end of October during Oktoberfest. This fun celebration of Bavarian lifestyle will allow you to enjoy the rich German culture and tradition through food, drink, dancing, music, and more. Established in 1876, this historic building is located right in the heart of Helen itself. This operation gristmill sits next to the Chattahoochee River and is used to stone grind corn and wheat based products, the likes of which include grits, corn meal, flour, pancake and waffle mixes, biscuit and bread mixes, etc. The Nora Mill was originally constructed by John Martin who had come to Georgia in pursuit of gold. While many miners abandoned the area after a time, the Martin family made the Sautee-Nacoochee Valley their permanent home. Mr. Martin ran the mill until 1902 when it was sold to Dr. Lamartine G. Hardman who was the governor of Georgia. It was at this time that the mill was named "Nora Mill" for Hardman's sister. Today, the mill is still used to grind fresh grains without the usage of preservatives or any additives. This provides consumers with old fashioned quality and service. Visitors to the store can enjoy overlooking a great deal of rainbow trout from the Mill's deck, and can also purchase a number of handmade goods including Jams, mixes for baked goods, cookbooks, kitchen gadgets and supplies, syrups, honey, popcorn, cornmeal, porridge, cereal, grits, bath and body products, and so much more. Located near Helen, you will find The Crescent Farm Rock Barn which is a beloved landmark in Cherokee County. This structure was constructed in 1906 and it is believed to be the singular rock barn in existence in all of Georgia. This barn was originally used as a race horse stable and was built in order to replace a wooden barn which had previously been destroyed in a fire, killing valuable racing horses. It is also said that the constructor and owner of this barn, Augustus Lee Coggins, was responsible for raising brokered mules which were sold to the allied forces in order to transport weapons and troops in Europe during the first World War. The remarkable Stovall Mill Covered Bridge has stood strong in White County Georgia since 1895. This beautiful bridge spans the Chickamauga Creek and features a parking area and picnic area so that you can spend some time soaking in its history. The bridge is named for Fred Stovall, Sr. who opened the mill complex located here for many years. Though the gristmill, sawmill, and shingle mill are now no longer standing, the bridge and remains of the dam are still evident today and are a popular place to visit for tourists. During the late 1700s, a Cherokee chieftain found success as a wealthy businessman. In order to establish and display his prominence in the community, Vann decided to construct the largest and most prosperous plantation in all of the Cherokee Nation. This spectacular plantation spanned 1,000 acres of what is today known as Murray County. The construction of this magnificent home was completed in 1804. The two and one half story brick home was the most elegant that any had seen in the region. After his tragic murder in 1809, Vann's son took over the mansion, continuing to lead the Cherokee people and going to to become even wealthier than his father. Sadly, the vast majority of the Cherokee people's native to the area were forced to move westward via the Trail of Tears. During this time, the Vann family lost their plantation and home. To this day, the Chief Vann house is Georgia's most well preserved historical Cherokee Indian home. This home is the first brick residence which was constructed in the Cherokee Nation. The homestead is sometimes referred to as the "Showpiece of the Cherokee Nation". Visitors to Helen, GA can enjoy a tour of this home which features hand carvings, spectacular antiques, and a floating staircase. You and your group can connect with travelers to the northern Georgia region of the past when you visit the Traveler's Rest Historic Site. Located near to Helen, GA, this stagecoach inn and plantation home was constructed circa 1815. The home was built by James R. Wyly who situated the house along the Unicoi Turnpike which had recently been constructed to direct traffic over the Appalachian Mountains. The inn was operated by Wyly until 1833. At this time, Wyly sold the property to his neighbor, Devereaux Jarrett who was known as the "richest man in the Tugaloo Valley". Under Jarrett's ownership, the inn was expanded by two times and spanned his entire 14,400 acre plantation which was located along the Tugaloo River. Because of its historical and architectural significance to the region, the Traveler's Rest was named as a National Historic Landmark in 1965 and visitors to the area area are welcome to tour the home and enjoy many original artifacts and furnishings. Although the legendary and beloved tale of "Gone With the Wind" is fictional in nature, it still holds a special place in the hearts of those who are fascinated by the Civil War Period. Scarlett's Secret is a magnificent collection of "Gone With the Wind" memorabilia. The museum is situated in a large 2 story plantation style home and can be found in the Nacoochee Valley, not far from Helen, GA. Besides Civil War and movie collectibles, the entire home is furnished and decorated in the same style as the period, so you will feel like you have truly stepped back in time. While you are visiting the museum you are also welcome to sit down and stay a spell to enjoy homemade tea and deserts. 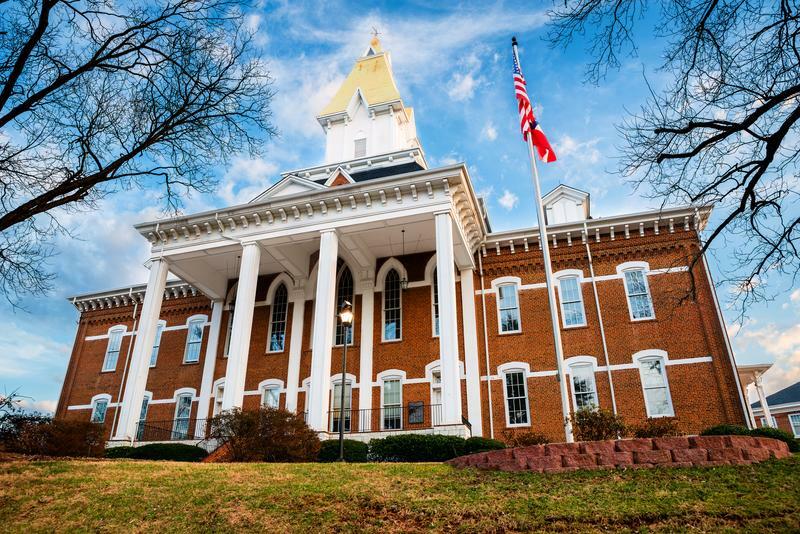 Located just northwest of the Public Square of Dahlonega, the Hawkins Street Neighborhood is a must see for all history buffs. This historical area is listed on the National Register of Historic Places and includes a wide variety of homes and structures which have stood proudly along the street since the early 1800s and 1900s. Featuring homes from historic state representatives and gold prospectors, storefronts, churches, and more, you will be delighted to enjoy the structural styles of the buildings from yesteryear without traveling far from your cabin. Most everyone knows about the famous California gold rush that occurred in 1849, however, there was another gold rush right here near Helen, GA that occurred twenty years earlier! One of the best ways to engage in historical activities near our Georgia cabin rentals is to check out all of the sites related to the first Gold Rush in America. For starters, you can round up your group and head to Duke's Creek Gem & Mining Company. Here, a group of experts will show you and your group how to pan for gold and other precious stones while learning about the rich history of the area. Another fun spot to visit is Crisson Gold Mine in Dahlonega. This actual pit mine was operational until the 1980s and still features a 125 year old stamp mill which still operates to crush quartzite in search for gold. Along with panning for gold, you can purchase ore or custom jewelry from the gold and gems found onsite. You will also not want to miss out on Consolidated Gold Mine in Dahlonega. You will get to experience the descent into a former mineshaft, 200 feet under ground. Once you have completed your exciting 40 minute tour, you will also be given the opportunity to pan for gold. The Dahlonega Gold Museum is located inside the Lumpkin County Courthouse which is the oldest courthouse in the entire state of Georgia. Here you will learn about the region's significance in mining activities and minting United States coin tender. In fact, more that six million dollars worth of gold was coined in Dahlonega before closing in 1861. You will also be able to see a real gold nugget which weights more than five ounces! When you visit the Old Pickens County Jail and the Kirby-Quinton Mountain Heritage Cabin which is maintained by the Marble Valley Historical Society, you will be taken back in time to see how people lived in northern Georgia in the late 1800s. The log cabin is set up to give visitors an authentic experience of what life was like long ago, with furnished bedrooms, living quarters, and kitchens, equipped with tools and furnishings from the period. The jail will also give you an idea as to how the history of law enforcement has evolved throughout the years. The legend of the Sautee-Nacochee Valley is one of tragic beauty, and will bring the past to life for yourself and your party. As the story goes, a young Choctaw brave named Sautee fell in love with the daughter of a Cherokee chief. This princess was named Nacoochee, which means "The Evening Star", and she also fell in love with Sautee in spite of the fact that their tribes were rivals. During one evening, the pair eloped and were discovered by her father and several hundred of his braves hiding on the slope of Mount Yonah. Here, the chief ordered his men to throw Sautee off the cliff, however, as soon as this was accomplished, Nacoochee threw herself after her lover. Together, the pair was buried in what is today the Sautee-Nacoochee valley. Regardless of how true this Native American tale of a Romeo & Juliette type romance is, the rich history of the Sautee-Nacoochee valley cannot be denied. 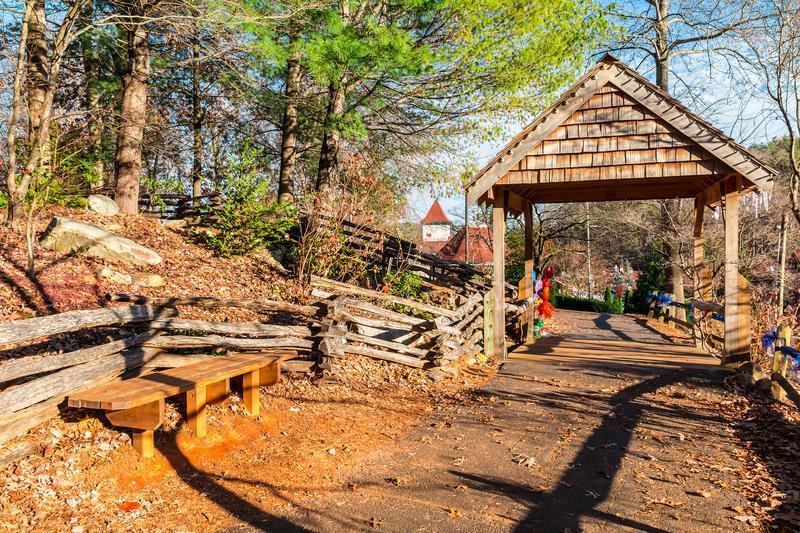 In fact, we highly recommend that those who visit Helen, Georgia take the time to visit the Sautee-Nacoochee History Museum to learn all about the original inhabitants of the area - the Cherokee Indians. In addition to this, you will also be taken through time to learn about the more recent history of the region including the first white settlers, war times, and the Gold Rush. Another interesting piece of history near your cabin rentals can be found in the Chattahoochee National Forest at the Track Rock Gap Archaeological Area. This is a 52 acre area which contains the most highly preserved petroglyphs which are of Native American origin. Early Cherokee peoples called this the "Printed Area". Here you will find engravings of animal and bird tracks, crosses, and human footprints. You may also elect to pay tribute at the grave of a Cherokee princess, Trahlyta. Located just north of Dahlonega on GA Route 60, you will find a great pile of rocks and stones in the intersection between GA 60 and US 19 marking the grave. Though it is evident that the area surrounding North Georgia is rich in history and culture, some of the attractions in the Helen area (such as the village itself) are simply recreations of structures from an older time period. Though these replicas are beautiful and interesting, you may also enjoy taking the time to visit some of those structures which have withstood the sands of time. Through the years, the elements, and the people who have come and gone, these fascinating historic structures are still standing strong today. Though there are plenty of fun things to do and see near the Helen cabin rentals, there is no reason not to also enjoy the rich and fascinating history of the are. Which of these structures will you visit first?